Sweet shooting forward with awesome length but not much strength. A top level prospect who is challenging for the #1 overall pick. Ingram is an exceptional offensive talent with super long arms and a soft shooting touch. Can light it up from downtown or get to the rim with long fluid strides and deft ball handling. Finishes well in the paint despite his lack of strength. Has unique length/shooting combination. Ingram does everything well on the basketball court but his shooting stroke is what makes him an elite level NBA prospect. With his length his shot is nearly un-guardable. Has a really quick first step and the ability to get to the rim in a hurry, with either hand. Is much improved handling the ball in the open court and will be a very dangerous run n gun player at the next level. 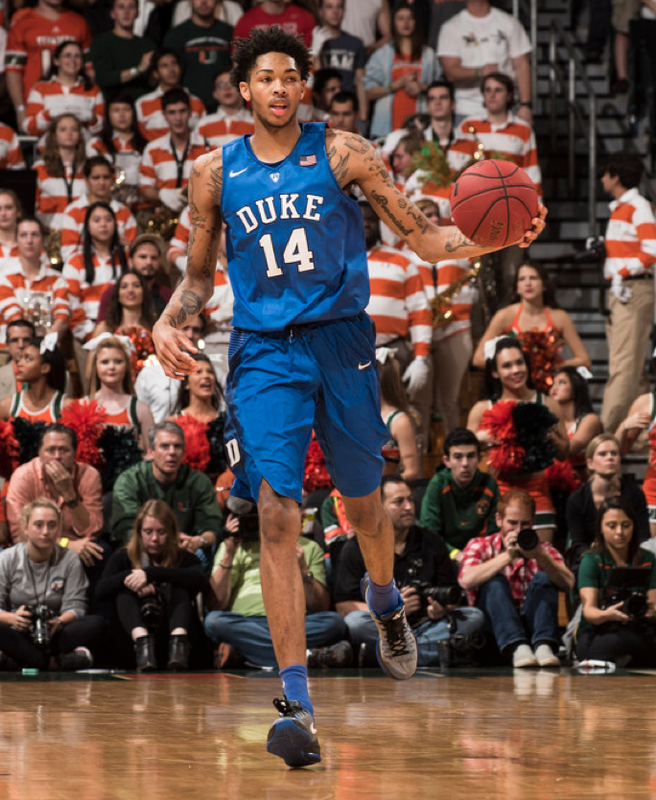 Has very active hands on defense and uses his wingspan well to disrupt the offense. Gets a lot of blocks, steals and deflection with his go-go-gadget arms. Very thin and light and might get pushed around at the NBA level. Needs to improve his footwork, positioning and understanding on the defensive end. Still developing as a ball handler and transition player. Is not a high level rebounder. Can light it up from outside like Paul George. Is often compared to Kevin Durant due to similar body type and skill set...but he might be a notch below Durant talent-wise. Could be the next in line of the soft spoken, nice-guy superstars like Durant and Tim Duncan. Projection: top 2 pick in the 2016 NBA Draft.